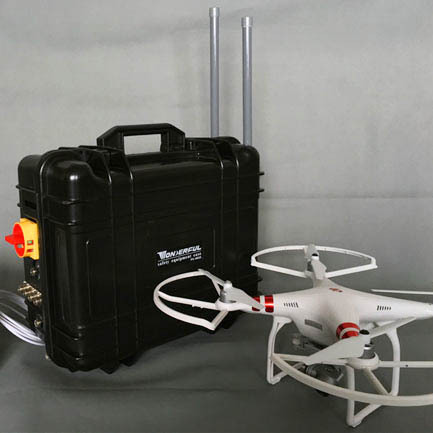 The drone jammer has ultra-long range jammer, maximum radius of up to 1500 meters. Can jamming a variety of band drone signals, fully protect your personal privacy and security. Great device! Our company purchased 3 sets to maintain order in the meeting place. Easily shoot down the rogue drone!!! The range of jammer was unexpectedly large. It can interfere with 700 meters of altitude UAV four axes, very amazing!